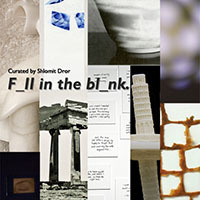 EFA Studio Member Artist Keren Benbenisty will be featured in the upcoming exhibition "F_ll in the bl_nk." at the NARS foundation. The opening reception is Friday, June 21, 6-8pm, with a Curator Talk at 7pm.